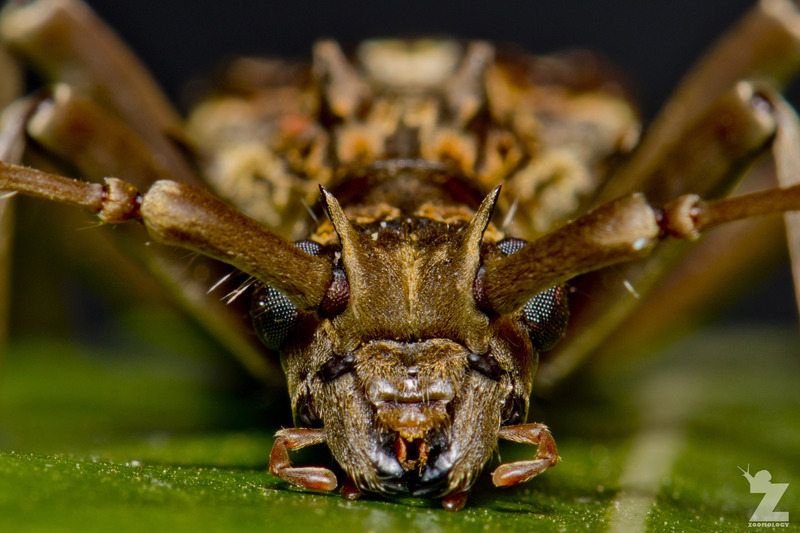 Tom and I joined our friend and natural history curator of the Whanganui Regional Museum, Mike Dickison, and fellow naturalist, Lisa, for a night out at Bushy Park light-trapping for insects. Whilst waiting for the trap to draw in the local residents, we took a stroll along one of the forest tracks through the native bush that covers the majority of the 100 hectare predator-free sanctuary. 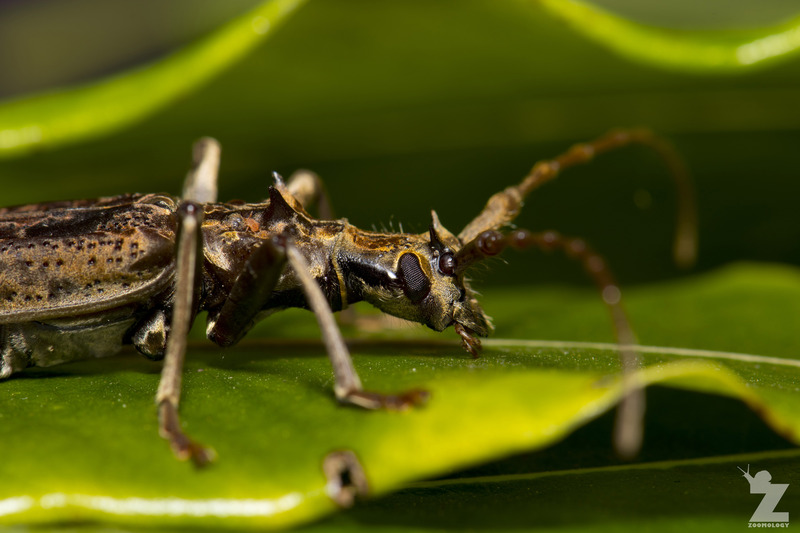 On the shell-rock track, Tom spotted the subject of today’s post: a spiny longhorn beetle (Blosyropus spinosus). To take the photos, we placed the beetle on a tarata (Pittosporum eugenioides) leaf. 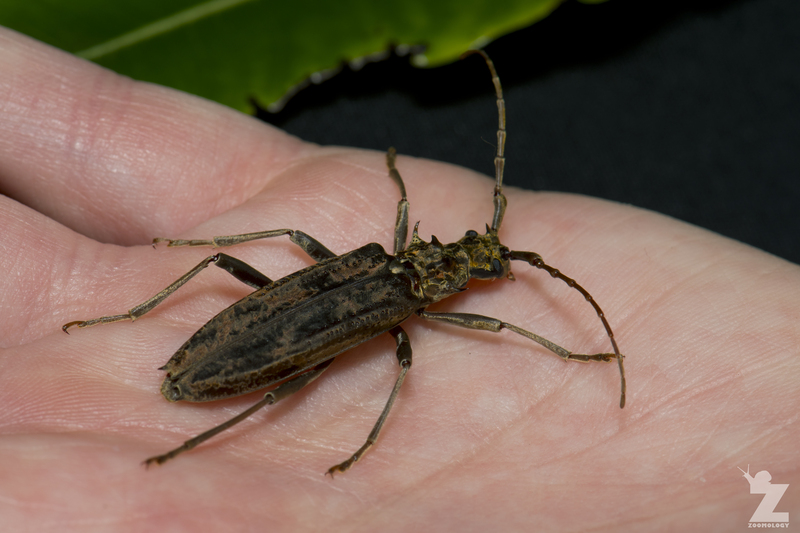 The spiny longhorn beetle is one of the largest endemic beetles in New Zealand growing up to around 8cm long. It is rare, but has been found in forest in many areas throughout New Zealand. 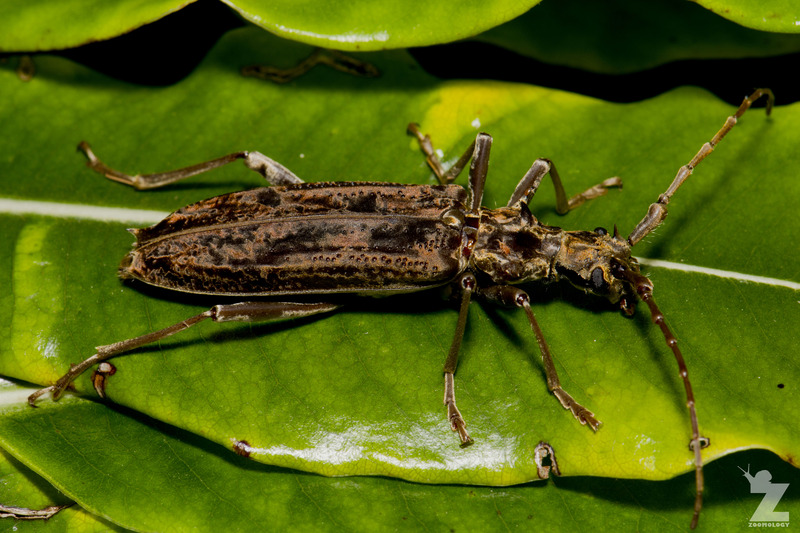 As the name suggests, this longhorn beetle has four large spines in front of the wing-covers and another two on the head. These spines are the key distinguishing characteristic. Like many New Zealand species, it is flightless. The larvae tunnel into the rotting wood of dead trees such as manoao/silver pine (Manoao colensoi), native beech (Fuscospora spp. ), tawa (Beilschmiedia tawa) and grass tree (Dracophyllum spp.). The adult lays the eggs towards the top of the tree. The larvae then hatch and slowly tunnel down towards the base of the tree as they feed. At the base of the tree, each larva creates a large chamber in which it pupates. This chamber opens to the outside, but is plugged with chewed wood. After metamorphosis, the adult beetles may overwinter or hibernate within their chambers. Emergence is usually from August through to February. 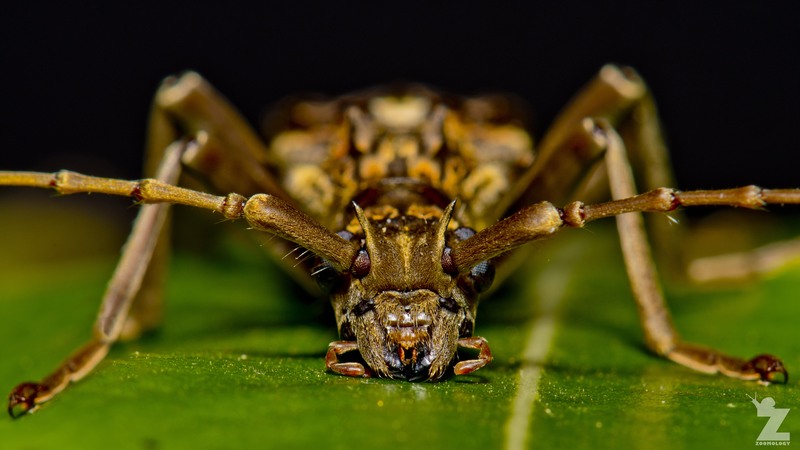 The spiny longhorn beetle is classified as a Category I Threatened Species in New Zealand. There appears to be some confusion as to what ‘Category I’ means, with some websites reading this as ‘Category one‘. I tried searching what exactly ‘Category one‘ meant, but was having trouble. Each website that mentioned ‘Category one‘ was referencing Andrew Crowe’s 2002 book, Which New Zealand Insect? Upon checking the book, I noticed that it was actually written as ‘Category I’ (not 1). Using this as my search term, I managed to find the original Department of Conservation PDF document. Check out page 12, section 4.2.1 here. Also see page 545, Appendix 2 here. The mystery was solved, it is Category ‘I’ for ‘Indeterminate’. What ‘Category I’ means is that the invertebrate is suspected to be under some form of threat, but there is insufficient information to place them in any of the other categories. Usually the invertebrate’s taxonomic status needs clarification and/or field surveys are required to establish distribution and abundance. As the records for this species are sparse, if you see one, make sure to get a quick photo and log it on NatureWatchNZ! Amazing photos! Beetles are so fascinating! Coleoptera are the largest insect group, so I wouldn’t be surprised, Emma. They are a fascinating and diverse group. All the best to you both for 2018! Beetles are so fascinating. Really interesting!